Do you know what a loop turner is? If you sew you need to know because it is my favorite sewing tool. I wasn’t introduced to the magical loop turner until I was in grad school and when I got the hang of it I was wondering where it was my whole life. 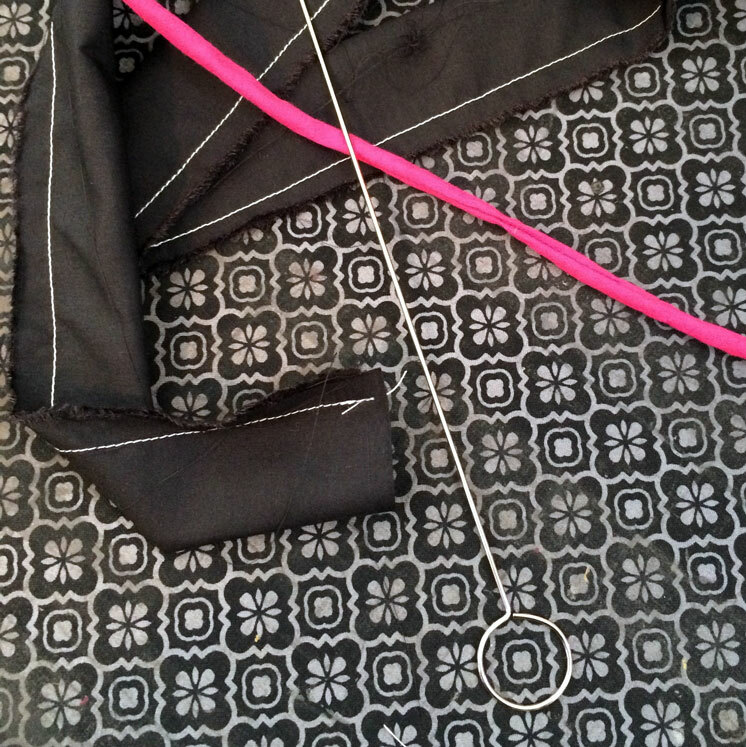 In fact my friend texted me the other day about how she was so frustrated while working on a project that required making tiny spaghetti straps and I told her how I wished I could just bring over my loop turner! So friends today I hope to change your sewing lives forever. Also I don’t think pictures can really do justice for how this baby works so I’ve got a little video for you. With your thumb of your dominant hand in the circle end of the loop turner pull a little with your right hand and with your left hand massaged the fabric over the stick to get the turning started. This sounds complicated but makes so much more sense if you watch the video. And I do have to say that it takes practice to get the hang of using a loop turner. It’s kind of a weird thing and there is definitely a learning curve. It might be SUPER frustrating at first but I promise you it’s worth the small initial investment because the time and effort it will save you down the line will be huge. You can find a loop turner at Jo-ann’s or even on Amazon. Turning tubes of fabric. This is especially good for skinny tubes like spaghetti straps that are hard to get safety pins or chopsticks in. Turning any thing right side out that is hard to get your hand into. I use this for the pockets on my Harry Potter House Elf Pockets and it works great! Getting the shape of an item right after turning it right side out (for example peter pan collars). You can stick the end in to help fully round out, curves pop out corners, etc. 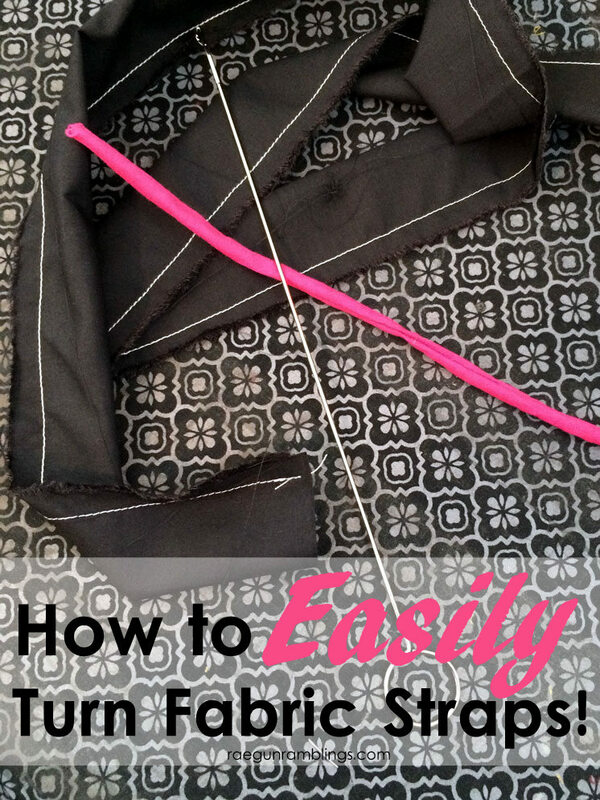 I’ve shared this as a part of a fun Favorite Tools series with my sewing blogger friends. To see more visit The Daily Seam! Thank you so much for the great video on the loop turner! It will be on my “buy next ” list !